Tesla CEO and founder Elon Musk has announced forthcoming performance updates for the Model S and Model X via Easter egg updates next month. 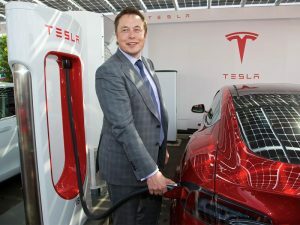 Tesla COE Elon Musk announced the Easter egg updates via a series of tweets. In a series of tweets, Musk said the update would boost acceleration for the P100D variant of its Model S to enable it to do 0-60mph in 2.4-seconds and a quarter of a mile in 10.6 seconds in Ludicrous Mode. He added that Model X numbers should improve by 0.1 seconds for the 0-60mph stretch and the quarter-mile acceleration. The Easter egg features will be communicated by over-the-air software updates. When an update is available, Tesla owners are notified on the centre display with an option to install immediately, or schedule the installation for a later time. Connecting the vehicle to a Wi-Fi network allows for the fastest possible download time.